I have never enjoyed the snow. And I hear that many areas are being dumped with snow and cold this weekend. But today my sweet hubby and son are working on our property, clearing a place to hopefully build a house. Hubby says when they have driven up to the property in the mornings, there are all kinds of deer tracks everywhere. Guess the critters are looking for food that has been unearthed. One day I am hoping to be able to sit out on the back porch and sip some tea and take in the sunrise. I've used this old strainer every time we squeeze fresh oranges, or if there are coffee grounds that migrate into the cup. I have not used this garlic press since buying a newer one, but I do remember my Mom using it. And I'm not exactly sure if this would be considered a meat fork as it is on the small side. But it sure is vintage. I've had this light hanging in my kitchen for 35 years. We had to replace the glass shade once, but this lamp looks like the ones hanging in the Cracker Barrel. This lamp has just recently died, so it will soon be replaced, but I just thought how much we have enjoyed this lamp (with a matching ceiling light too) for all these years. I wonder where Cracker Barrel stores their supply for the next restaurant they build ? Pondering these words..... "Your life either sheds light or casts a shadow"
Please stop by and visit the other Daybooks here. Today is my BFF's birthday. She doesn't have a blog, and she really doesn't do much blog reading. And let me tell you why. You see my BFF has a pretty active life. She's the Mom of four really great kids. Two of which are missionaries in far away places. She travels to see them, and to see her grandchildren. This past Spring her daughter was diagnosed with a very fast growing breast cancer. She was expecting her fifth baby when the cancer was discovered. The baby was delivered a month early so she could start chemo right away. My BFF traveled to Alaska to care for the other four children while her daughter delivered her baby and within two weeks started heavy chemo treatments. Her daughter has just recently undergone radical surgery and is now back in the lower 48 preparing for radiation treatment. It's been a very tough time for my BFF and her family. But I still wanted to wish her a very Happy Birthday. This picture was taken one year ago today, while my BFF was visiting me in Florida. If you could say a little prayer for her daughter Carlee, I know it would be greatly appreciated. Two smiles meet and hold somehow. Well here I am again, showing you another tea related post. Just love tea things and all the warmth it suggests. Valerie over at Traveling Through is sharing her Tea Time things too. Today I wanted to show you my white tea things. The two white tea pots belonged to my BFF that passed away 5 years ago. She was a huge collector of all things tea. I was fortunate that her family shared many of her tea things with me. The pot in the front is a Lenox piece called "Butlers Pantry". The larger pot behind is marked J & G Meakin - England "Classic White". The tea cups are marked Independence Ironstone Castleton - Japan. I love how elegant these white pieces look together. "Nothing is more enjoyable then sharing a pot of tea with an old friend." Won't you join me for a spot of tea today? I so enjoyed sharing my day with you last week, that I thought I would participate in The Simple Woman's Daybook once again. Pondering these words... "Time is a revealer of how God does the healing"
About a month ago I went through an old suitcase that was buried in our closet. While digging through some of the old pictures I came across my baby book that must have been given to my parents when I was born. It was fun looking at some of the old pictures and even seeing some familiar market names. I guess pictures that are half a century old would be considered a vintage thingie! I've seen these posted on other blogs, so today I thought I would start my week with the Daybook for January 11, 2010. Outside my window........it's still cold outside! I am thankful for.............my sweet husband and how he provides for our family. I am remembering..........my mother in love and how she has been such a wonderful influence in my life. I am going.........................to the post office and to the thrift stores! I am currently reading... my devotional and quilting blogs! I am hoping......................for warmer weather to hurry and come. On my mind.....................resolving health issues. Noticing that....................I need to finish putting the house back in order after the decorations have come down. Pondering these words........A friend is someone who listens with her heart. In the kitchen...................Raisin toast and hot tea. Around the house.............laundry and some sewing. One of my favorite things.......... hearing the birds sing at the bird feeder. To visit other Daybook entries go here. Did you really know that the word "silly"derives from the German word selig, meaning "blessed" or "happy"? 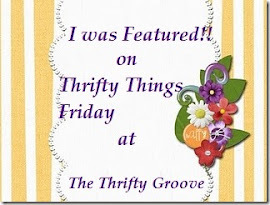 So today I am joining Susan over at Blackberry Creek Home Arts in Silly Saturday! My daughter and two of her friends played for a wedding on the beach last year. I love Thursdays. 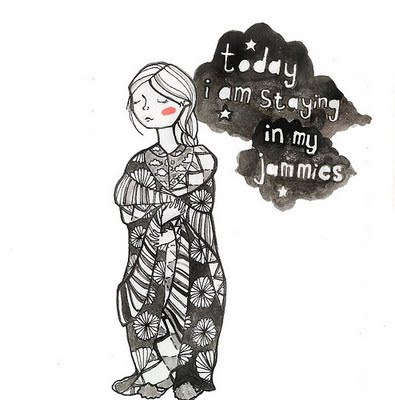 Mostly because I can visit Suzanne and her post with all of the Vintage Thingies Thursday blogs. 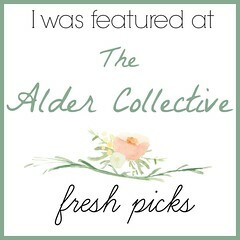 Please take a look, as I think you will enjoy looking at all of the vintage goodies that are lined up there. Today I wanted to show you what my dear sweet hubby gave me for Christmas this year. He kept telling me that he did not buy me anything for Christmas. He told me that over and over. But on Christmas morning, he said he had "found" something for me. A few years ago my dear sweet hubby was in Alabama on a trip. There is an old plantation near by where he stays. I think some of the guys were out there, just looking around. And unbeknown to me, he found a little treasure. Apparently it was in pieces. And the back feet were missing. This is what I feel like doing today! Well, here I am again posting a Tea Time Tuesday! Just love my tea things and wanted to share with you. My sweet sister in love gave me this very sweet tea set for Christmas. I was very delightfully surprised. It was not only the tea set, but a Tea Party in a box. And now it is time to make a pot of tea and do some blog reading. It's been terribly cold here in the south, with no let up in sight. So hot tea and warm quilts are the order of the day. It's been a very busy week around here. Starting with a Doctor appointment that sent me into a little bit of a tailspin. Now I am on meds and back and forth to the Dr for BP check :-( Not my idea of starting off the New Year. But I just wanted to give a shout out for a sweet little giveaway over at A Day in the Life. There is a Modest Giveaway going on, so stop in before January 10th and take a look. Hope everyone's New Year is going well.